To bridge humungous skills gap which needs serious closing down if the nation's economy were to continue on its growth path, Especially in IT/ITES sector. By offering students plethora of IT courses to choose from. 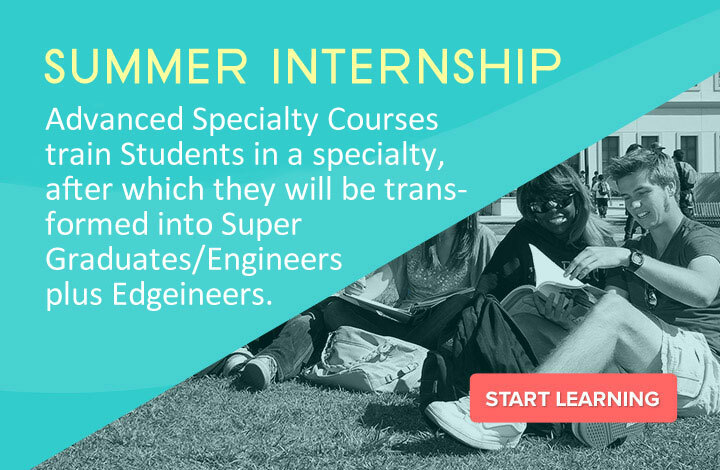 Our motto: GRADUATES/ENGINEERS + SAG = SUPER GRADUATES/ SUPER ENGINEERS + EDGEINEERS. If you are striving for more and can solve the complications rather than crib about them. Here is an Opportunity for you. If you can feel the pulse and have passions to take the brand across your network of colleges, then board yourself in with us. Creating maximum sign up from your college or other colleges (Minimum 200). Help us to execute the projects. 6TH ,7TH SEMESTER B. TECH STUDENTS. 1.Recharge vouchers for your phone. 4.Online shopping vouchers to be won. 5.Serious Money and Serious leadership position. Start of as a campus ambassador. Work with us for 6 months and you become your area leader. Full on marketing experience to be gained.